The Elizabeth family apartment has a huge fairytale themed bedroom, with a disco ball and coloured lights! This apartment sleeps up to 2 adults and 4 children. It has a separate shower room and separate kitchen/dining room. The lounge area has comfortable furnishings with a large flat screen TV and DVD player. 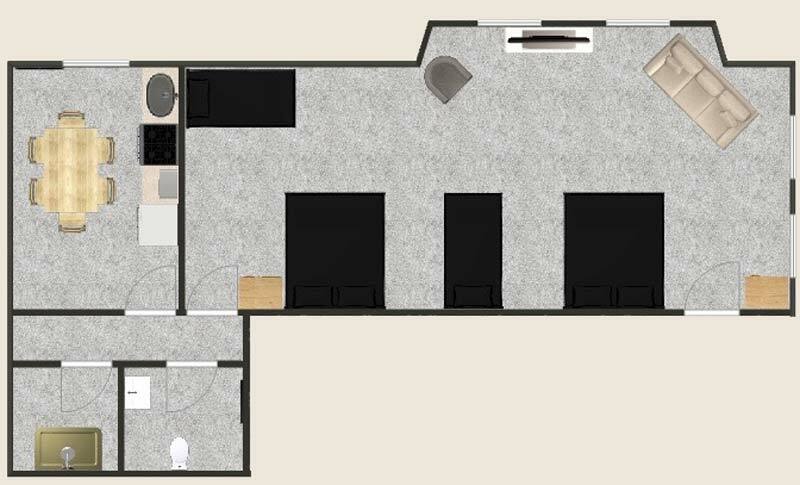 Access to the Elizabeth apartment is flat and level, with no stairs and the shower room is fully accessible. Perfect for larger families with children, or those with restricted mobility.